From 2005 to 2011, a team of MIT students won $3.5 million from the Massachusetts Lottery by exploiting a quirk in the rules. Join Jordan Ellenberg, a Vilas Distinguished Achievement Professor of Mathematics at the University of Wisconsin-Madison, as he explains how they did it, how you could have done it too, and what it all has to do with expected value, information theory, and projective geometry. 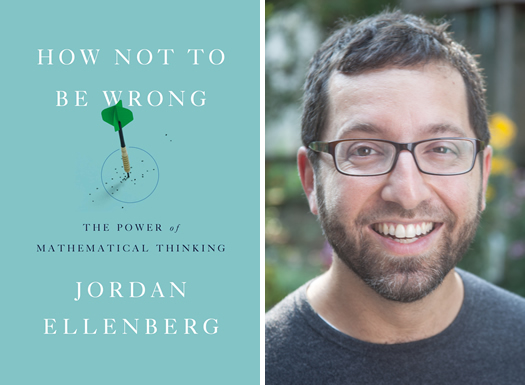 Jordan Ellenberg has written on mathematical topics for Slate, the New York Times, the Wall Street Journal, and many other publications, and has lectured on his research in number theory around the world. His new book, How Not To Be Wrong, from which the lottery story is taken, explores some of the many ways math appears in everyday life: math is one of the fundamental ways of making sense of the world, an atomic-powered prosthesis you attach to your common sense, vastly multiplying its reach and strength. This presentation is free to attendees, as part of Time Warner Cable's Connect a Million Minds campaign. Recommended for ages 12 and up. Please help us and let your friends, colleagues and followers know about our page: Family Fridays at MoMath presented by Time Warner Cable: "How Not to Be Wrong"